Having exhorted His disciples to pray that laborers might be sent into the harvest, He begins in chapter 10 to act in accordance with that desire. He calls His twelve disciples, He gives them power to cast out devils and to heal the sick, and He sends them to the lost sheep of the house of Israel. He gave them authority over evil spirits for this purpose. It is this which characterizes the message of the gospel being proclaimed by His disciples. Finally, they were to be thoroughly pregnant with the conviction that the Lord has not come to send peace on the earth; no, it should be division, even within the families. But Christ was to be more precious than father or mother, and even than a man’s own life. 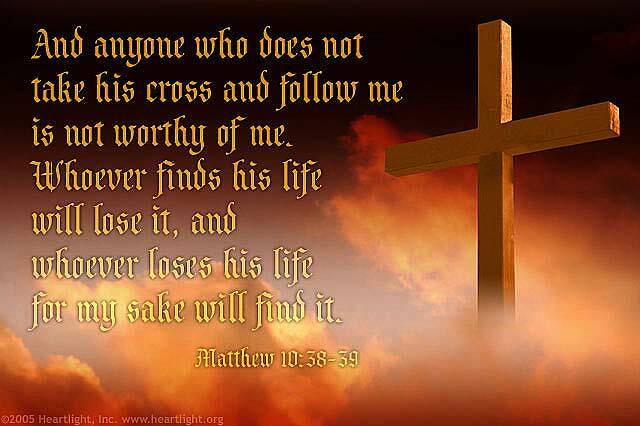 He who would save his life at the expense of his testimony to Christ should lose it; he who would lose it for the sake of Christ should gain it. Thus acknowledging the testimony of the rejected Lord, and His messengers were it only by a cup of cold water, he who gave it should not lose his reward. Pray that you will be faithful to God and not disappoint Him in what He has called you to do. Pray that your love and devotion to the Lord, His house and people will grow. This entry was posted on Thursday, January 10th, 2013 at 7:07 am	and posted in 30 Day Challenge (January 2013). You can follow any responses to this entry through the RSS 2.0 feed.